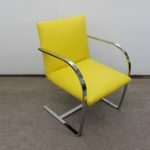 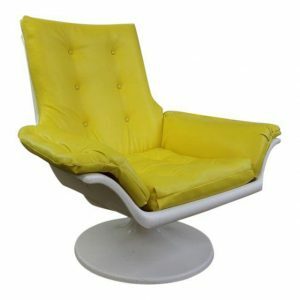 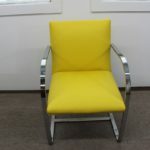 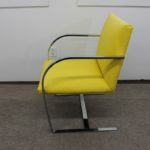 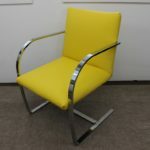 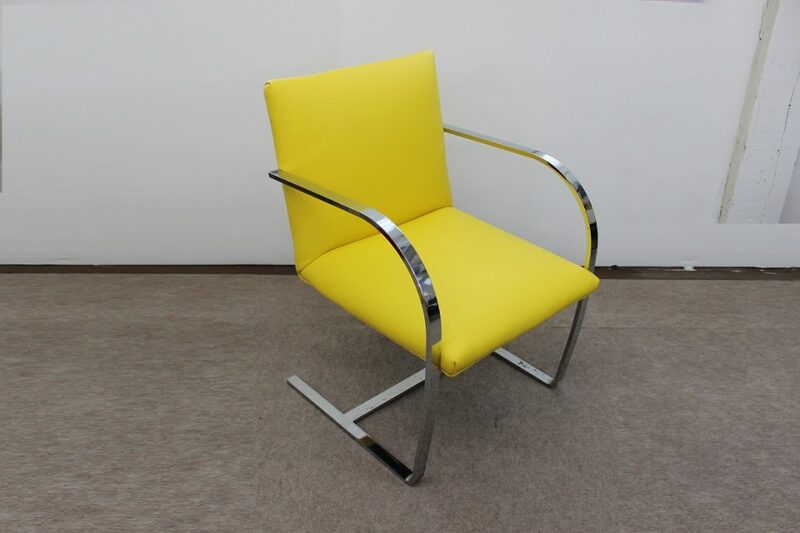 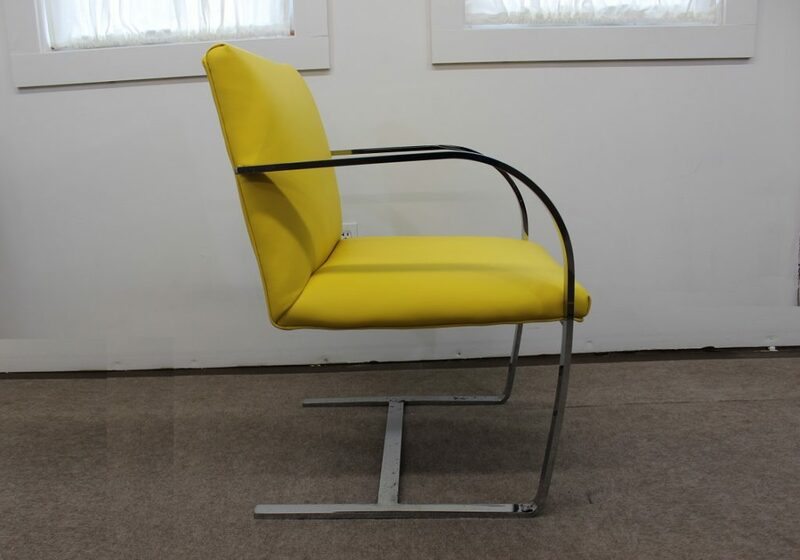 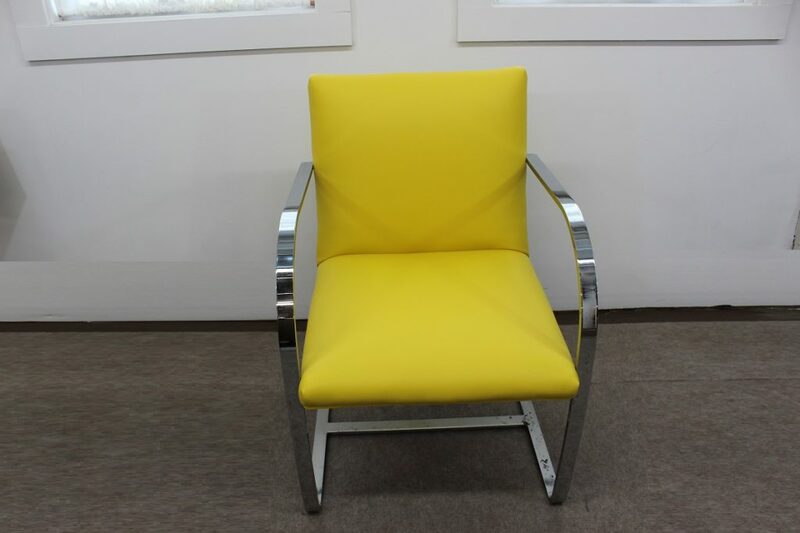 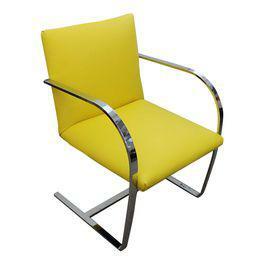 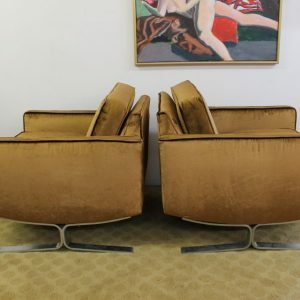 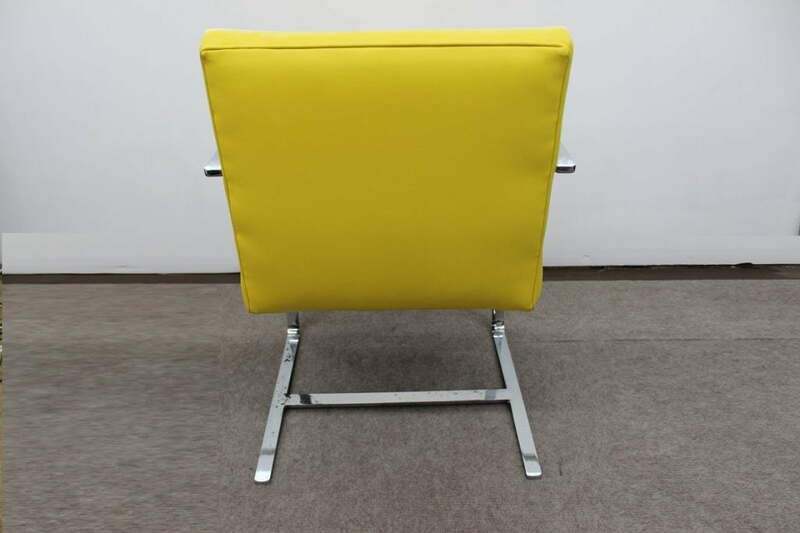 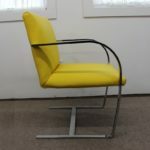 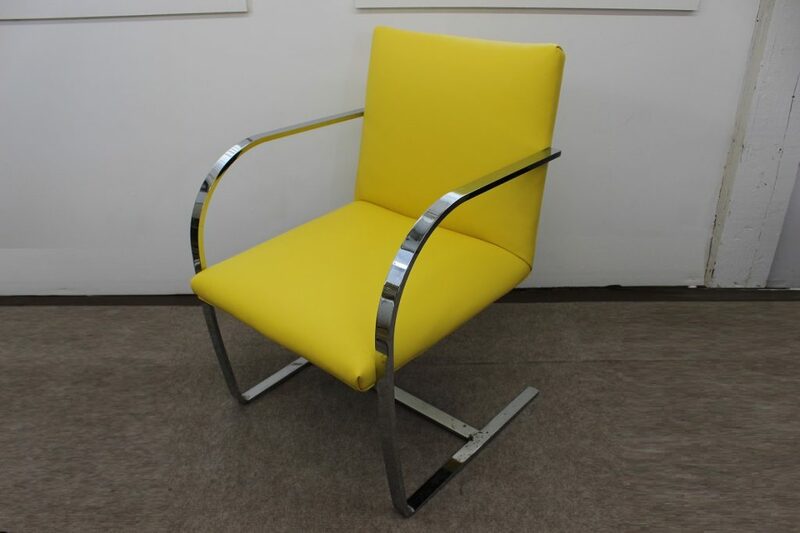 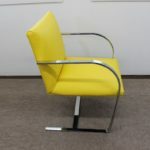 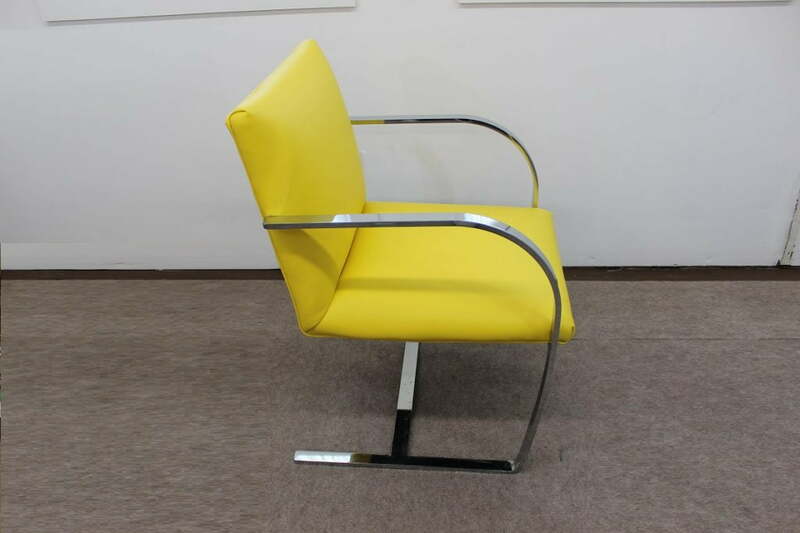 This beautiful Brno Chair designed by Ludwin Mies Van de Rohe for Knoll is coming to you with a beautiful lemon yellow vinyl upholstery that complements the shiny chrome of the arms and legs so well. 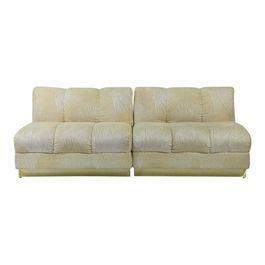 It is perfect to add an airy spring feeling to any room. 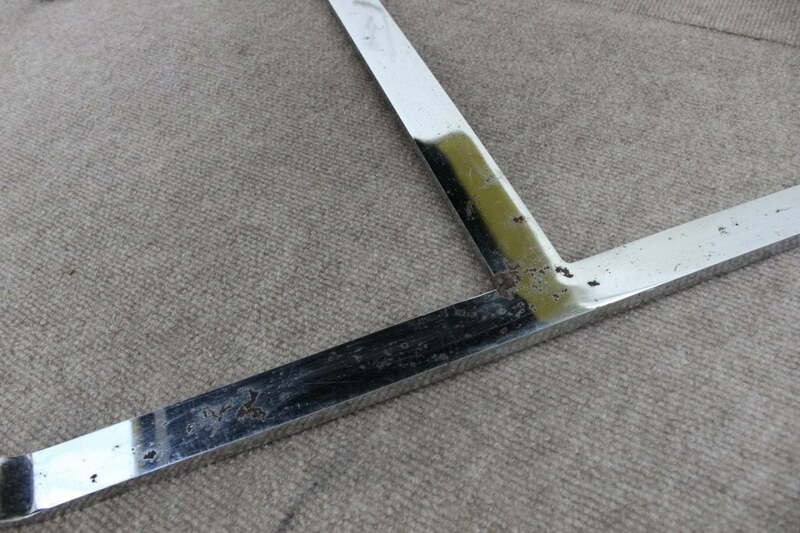 This piece has some signs of wear and tear. 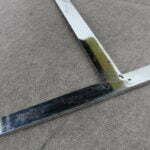 Both arms have some scratches made probably by rings and the base has minor rust spots. 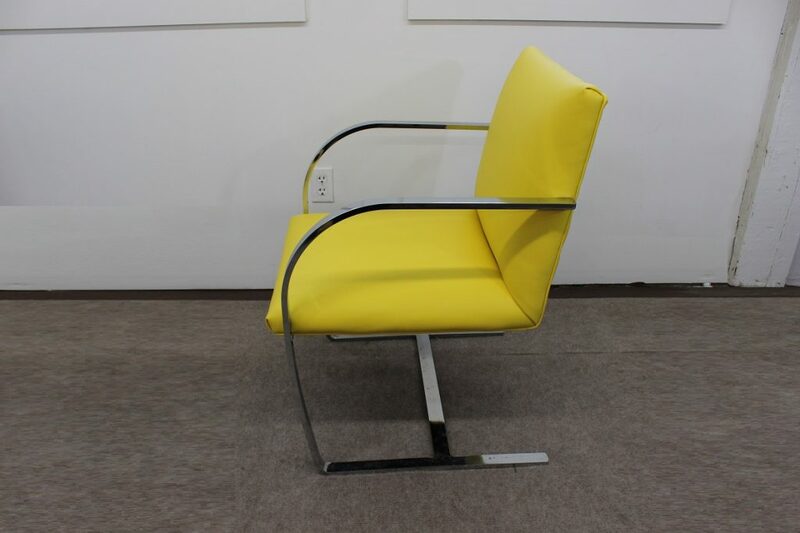 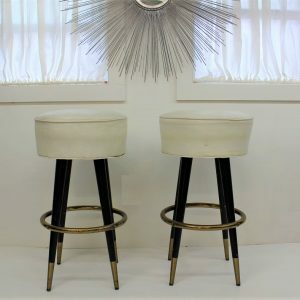 Nothing that would damage the integrity or sturdiness of the chair. 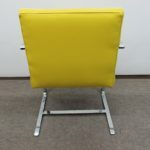 It measures 17″ high to the seat, 22 1/2″ from arm to arm and 33″ high to the backrest.